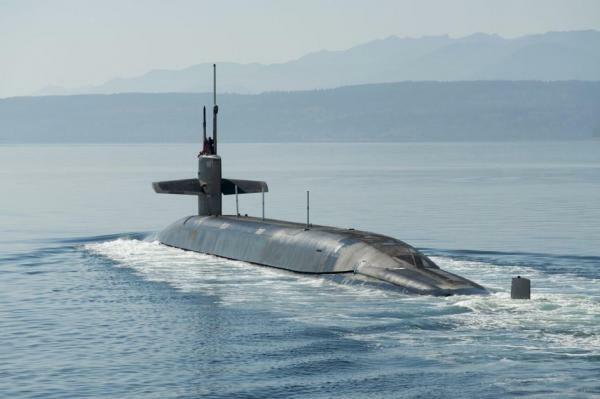 Sept. 14 (UPI) — General Dynamics Electric Boat has received a $ 480.66 million contract for advance procurement and construction of the Columbia-class ballistic missile submarines. Work on the contract, announced Thursday by the Department of Defense, will be performed in Quonset, R.I., Newport News, Va., and Groton, Conn., and will be integrated into the lead ship construction in October 2020. The contract is being combined with a previous United Kingdom contract in the amount of $ 10 million. The Columbia-class is expected to replace the current fleet of Ohio-class ballistic missile submarines. It will field 16 Trident II D5 nuclear ballistic missiles, along with torpedoes for self-defense. Submarine Launched Ballistic Missiles, or SLBM, form a key part of the “nuclear triad” of U.S. land, air and sea-based nuclear weapons. Ballistic missile submarines are designed for long-endurance nuclear deterrence patrols operating under near complete silence. They form a difficult to detect and destroy fail-safe against the possibility of an enemy first strike destroying land and air-based nuclear delivery systems. The first of 12 planned submarines, the Columbia, is expected to be completed by 2031 at a cost of $ 10.4 billion, counting research and engineering costs. Follow-on vessels are expected to cost over $ 5 billion a piece.